Portslade ‘Old Village’ is to Portslade what Southwick Square is to Southwick and Old Shoreham is to, well, Shoreham. It’s tucked away off the main road and is a delight to the eye; but knowing where to look and how to find it is essential. 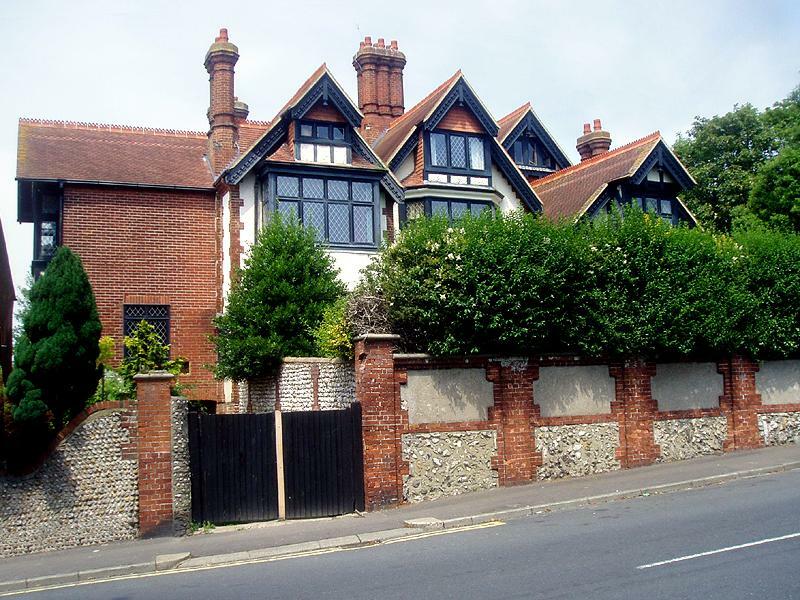 Leading up from the Old Shoreham Road, substantial properties quickly appear on the right-hand side of Locks Hill starting with Loxdale and Portslade Lodge. Locks Hill becomes South Street where Whychcote and the Brewery (today occupied by Le Carbone) come next. 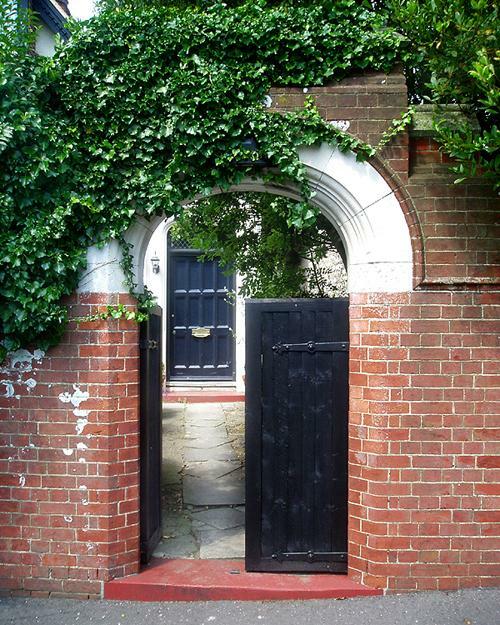 Easthill House, Portslade Manor and St. Nicolas’s Church are all just a stone’s throw away. Whychcote would never have been built had it not been for the Brewery. The Brewery, covering almost one acre, was built in 1881 (as is clearly stated on its grand chimney) for John Dudney. When Dudney was its proprietor, it was capable of producing one thousand barrels per week. Two brothers, Walter and Herbert Mews (aged 27 and 25 respectively), bought it from him in 1884 for £17,000. Each then built a substantial residence in its close vicinity – Whychcote for Herbert in 1895 and Loxdale for Walter in 1899. The reason for the choice of the name ‘Whychcote’, meaning ‘the home of the witch’, is uncertain. It is certainly an imposing building but not exactly a witch’s. A woman thought to be a witch, however, did live in the area not long before the Mews brothers arrived. Timbers (both inside and out), gables and chimneys characterise Whychcote though its greatest attribute is perhaps its prime location on the village green. Interestingly, Andrew Melville, the owner of Whychcote during the 1930s, also owned the green and attempted to develop it. Another controversy took place in 1989 when it was discovered that Adur District Council wanted to turn Whychcote into a homeless hostel. Whychcote was bought for £357,000 in 2000 and the then owners carried out substantial works. It subsequently sold for a bargain £465,000 in 2002. As Brighton & Hove feels the pinch of a national housing shortage, Portslade will one day have to take on a share of new residents. The replacement of dreary 1950s structures should one day provide an excellent opportunity to reintroduce flint, timber and other original materials using modern construction techniques. Let’s just hope that the developers know how to find their way to the Old Village for inspiration when the time inevitable comes!